This park has two distinct sections. The older portion is more like a 1960 era mobile home park with full time residents who need to upgrade their RV's or at the very least clean them and their lots. The newer portion of the park is very appealing and laid out very well. 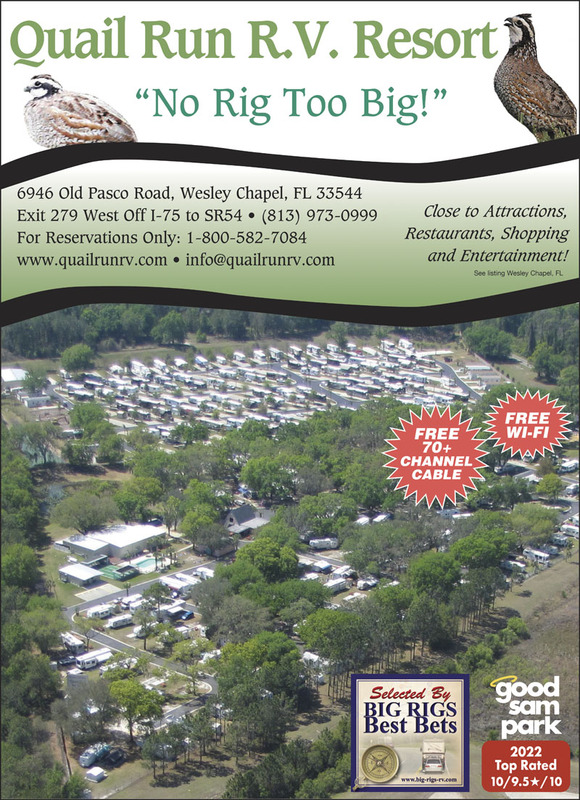 We have stayed in over 100 RV parks across the country and nearly all have rules to adhere to. This is the first park that had various fines from $5 to $100 associated with breaking these rules. This should have given us cause for concern as to how the ownership treats their customers. This park normally would deserve the good ratings from Good Sam as well as the good reviews they receive from their customers if one did not have to deal with the owner (who is there only in the evenings.) Unfortunately we had to deal with the owner. The park's lawn maintenance crew damaged some of our property when mowing our lot. We approached the owner about reimbursing us for the damaged property. He let us know in no uncertain terms that he was not responsible and essentially called us liars without even inspecting the damaged property. In light of this behavior by the owner we would never stay at this park again nor can we recommend it to other RVers. We made an unexpected visit for 4 days while delaying our return to the frigid North. Wow, what a well planned facility that does things right and pays attention to detail. Very accommodating, and very convenient with well stocked store and propane onsite. Easy access and parking for Large Class A's & Super C's. Beautiful clean facility that enforces rules meant to keep it nice for everyone. Would highly recommend to anyone visiting the Tampa area or stopping in route North or South Bound! We stayed there for 3 nights and loved it! It was so nice to have a nice, clean bathroom all to yourself, and the trees around the park were beautiful. Everyone was so friendly and helpful, and we were very close to everything that we wanted to see. We would go back in a heartbeat! This was a great facility to stay a few days and enjoy the Tampa area. There is a mix of long-term residents, snowbirds and travelers. They put us in a back-in site that was easy in & out. The staf was very friendly and helpful. 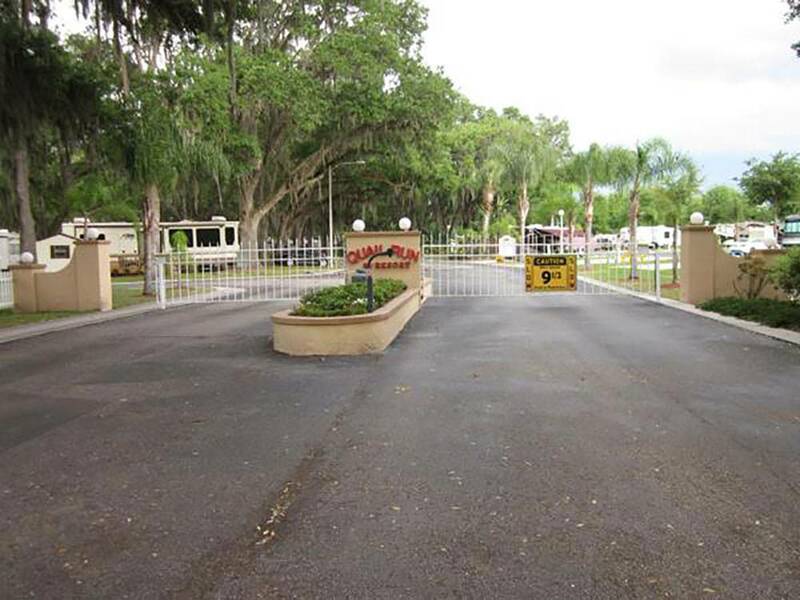 Very nice, clean park with large sites, good WiFi and cable included in price. Pool is very nice, also. Beautiful park, well kept a little hard to find from freeway. We have stayed there several times and will stay again. Office staff changes and some are friendlier than others making you feel welcome. Don't let this bother you, it is still a good place to stay. When exiting the park, we found that going right it is an easier road taking you through mostly farm country, about 2 miles, to a road that intersects with I-75. No business traffic. The other direction takes you through neighborhoods and a busy intersection.